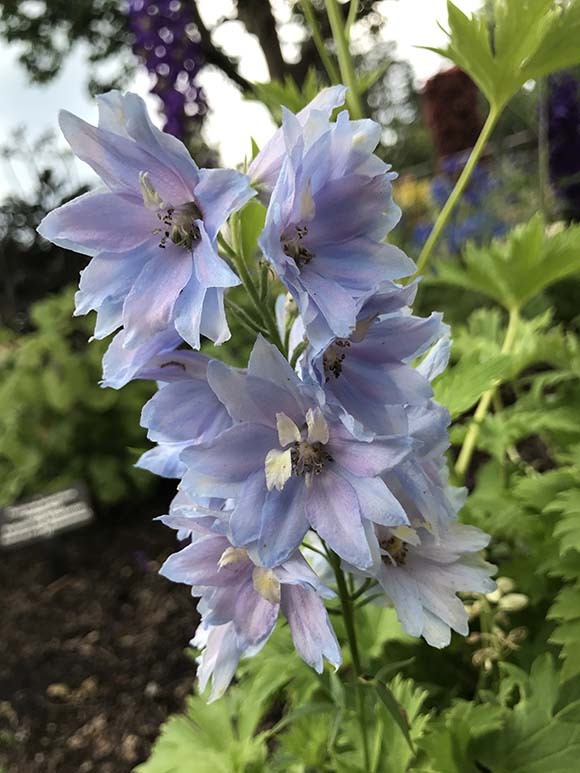 The fourth of July is upon us, and while many beautiful flowers can be found in patriotic shades of red and white, the color blue is very difficult to find at the Garden. In fact, blue is a rare sight in the entire natural world. 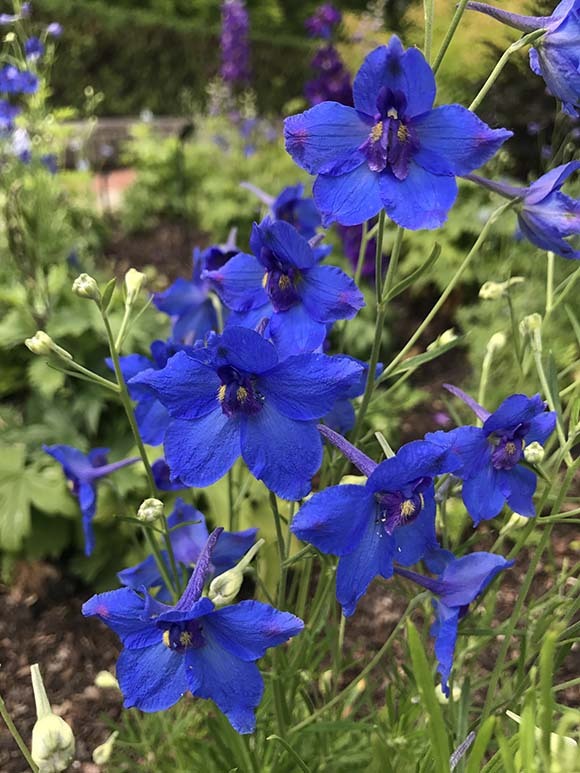 Less than ten percent of the plant kingdom features blue flowers, which is extraordinary, since pollinators don’t seem to have a problem with them. 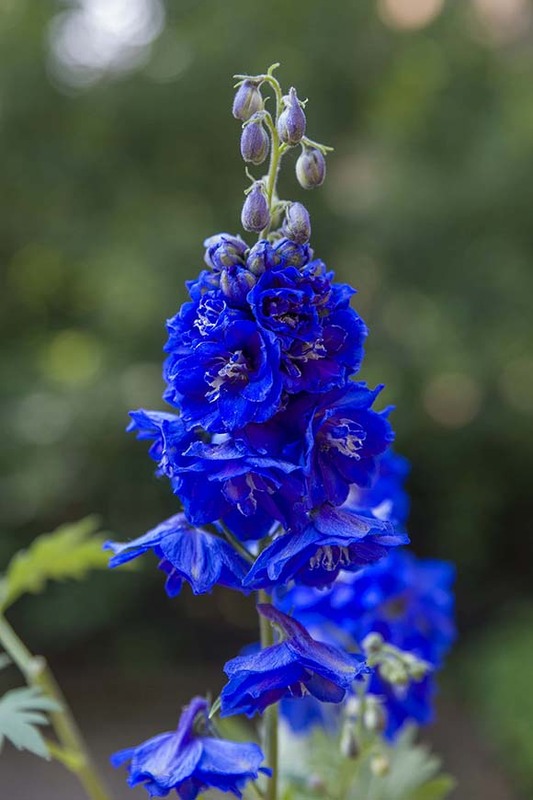 Scientists have been investigating the origins of blue flowers for a long time, and it was not until recently that they came up with a result. Flower colors are based on pigments that include anthoxanthins and anthocyanins. Anthoxanthin colors contribute to yellow flower petals and are quite common in the plant world. Anthocyanin colors impart red, purple, and blue in blooms, but are found much less often in flora. For anthocyanin to steer blue, complex scenarios must occur. Most often, metal atoms and ions interact with the pigment to modify the color. In addition, they alter the pH of cellular fluids to be alkaline, while most organisms have an acid or neutral chemistry. What is thought-provoking is that a red rose and a blue cornflower (Centurea cyanus) contain the same anthocyanin pigments. Cardinal flower (Lobelia cardinalis) and big blue lobelia (Lobelia siphilitica) are of the same genus, but one flower is red and the other is blue. It is the rare and complex modification of that pigment that contributes to the blue flower being blue. More surprising is that hybridizers have yet to develop a truly blue rose or carnation (without resorting to pigmenting water, which a plant takes up, changing the color of its bloom). 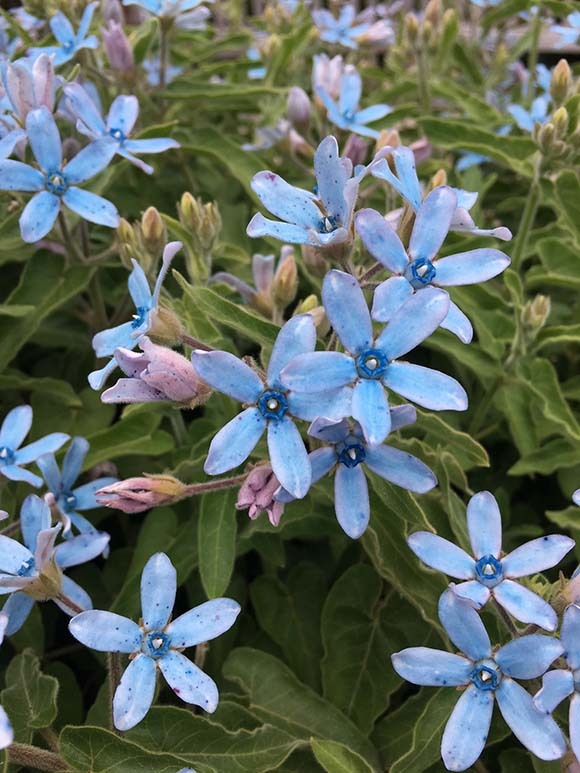 Since blue is uncommon, visitors at the Garden should take extra time to enjoy the flowers in the English Walled Garden, where they will find containers full of adorable Felicia daisy (Felicia heterophylla ‘Forever Blue’) right beside sky-colored plants called southern star (Tweedia caerulea ‘Heaven Born’)—a member of the milkweed family. 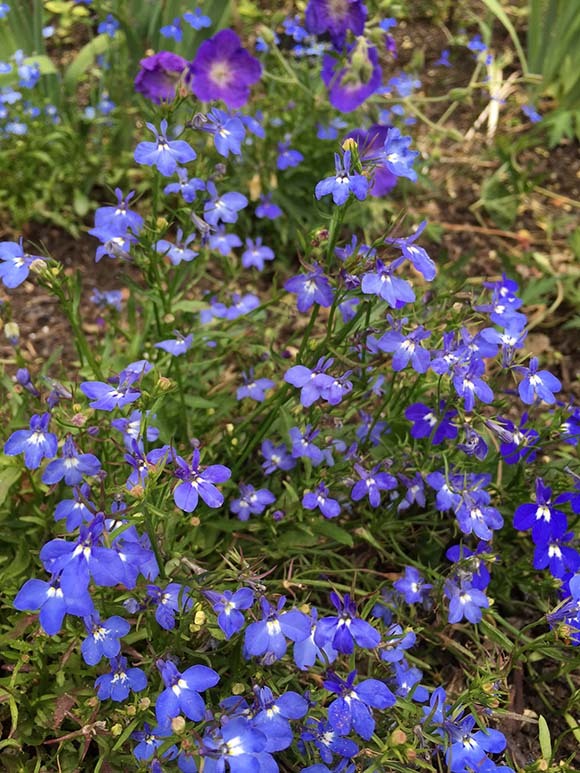 In addition, there are cool-hued drifts of Magadi™ electric blue lobelia (Lobelia erinus ‘KLELE10670’) weaving throughout several garden beds, as well as spilling out of containers. Another area with a good deal of blue flowers is the Heritage Garden. 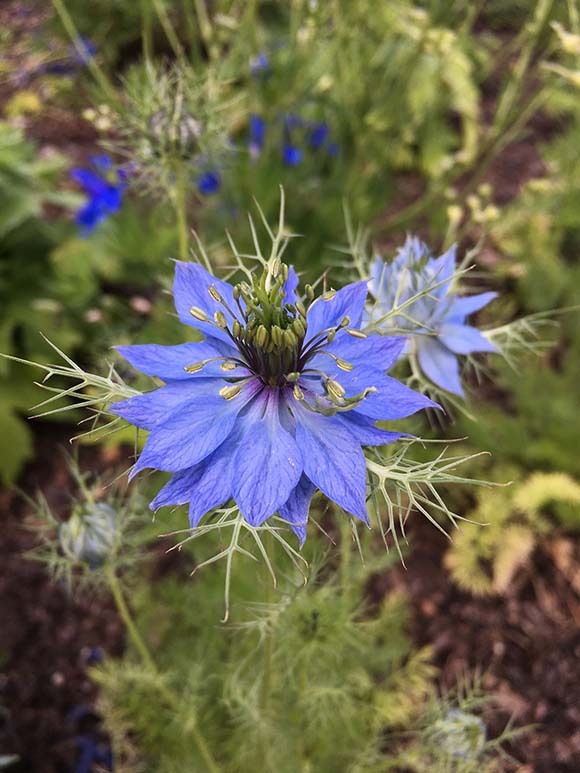 In the plant family area, you will find intricate love-in-a-mist (Nigella damascena ‘Miss Jekyll’) blossoms mingling with wispy yet showy Siberian larkspur (Delphinium grandiflorum ‘Blue Butterfly’). 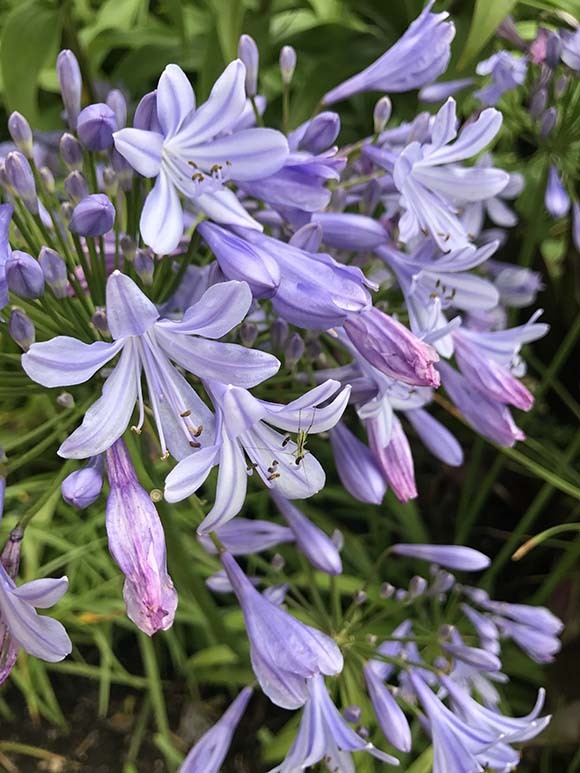 And nearby, nile lily flowers (Agapanthus ‘Queen Anne’) explode like bright blue fireworks. 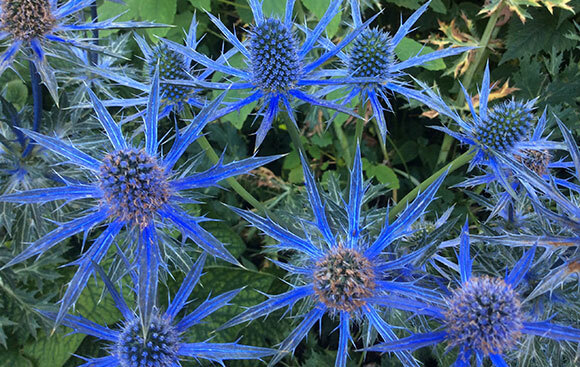 And finally, in the geographic area, sea holly (Eryngium planum) creates a shiny and spiky blue accent. 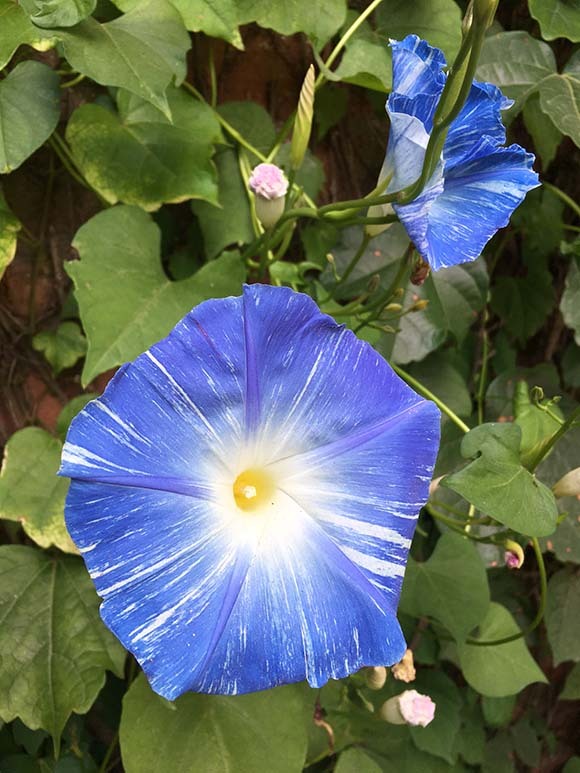 While it is difficult to achieve blue pigments in plants, the ones that did are certainly successful in this world. The word “perseverance” comes to mind, which just so happens to be what the blue within the American flag represents. Anyone who has marveled at a field of Texas bluebonnets (Lupinus texensis) and witnessed the huge number of bees and butterflies working to gather its pollen would agree.